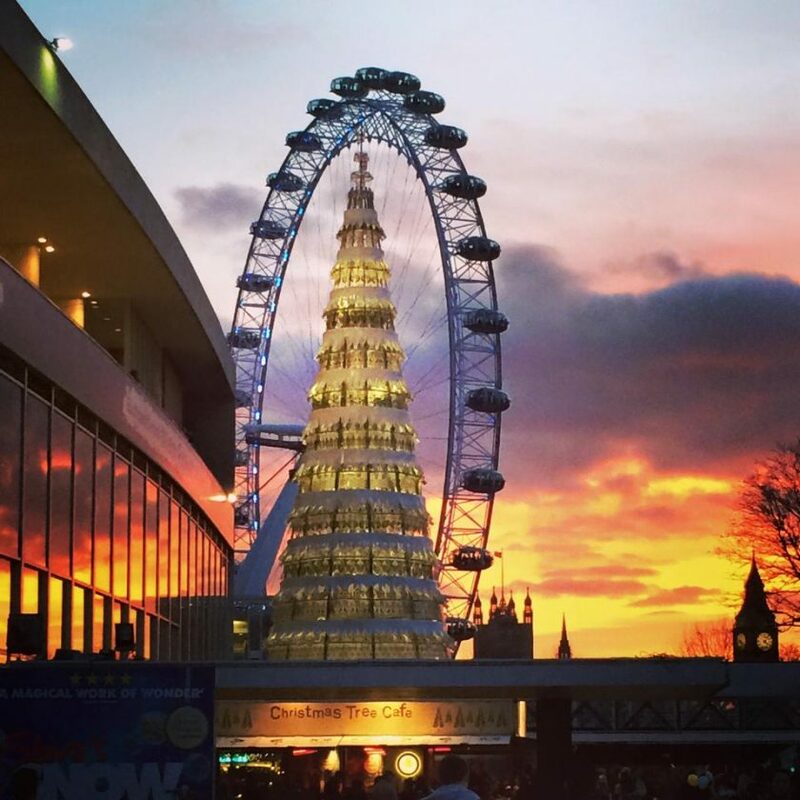 15 Christmas Spots in London – Feel the festive atmosphere! 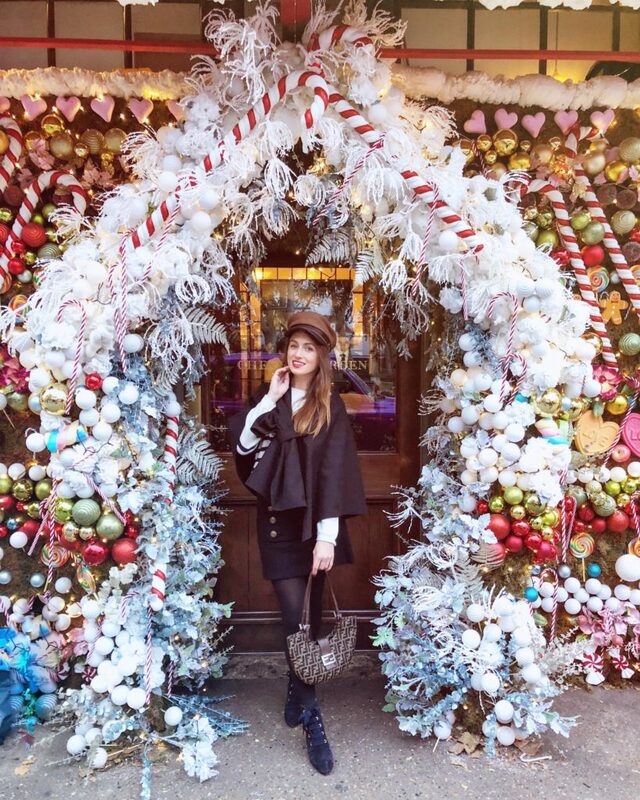 I am in a Christmas spirit already, and therefore I decided to post about my favourite London spots. 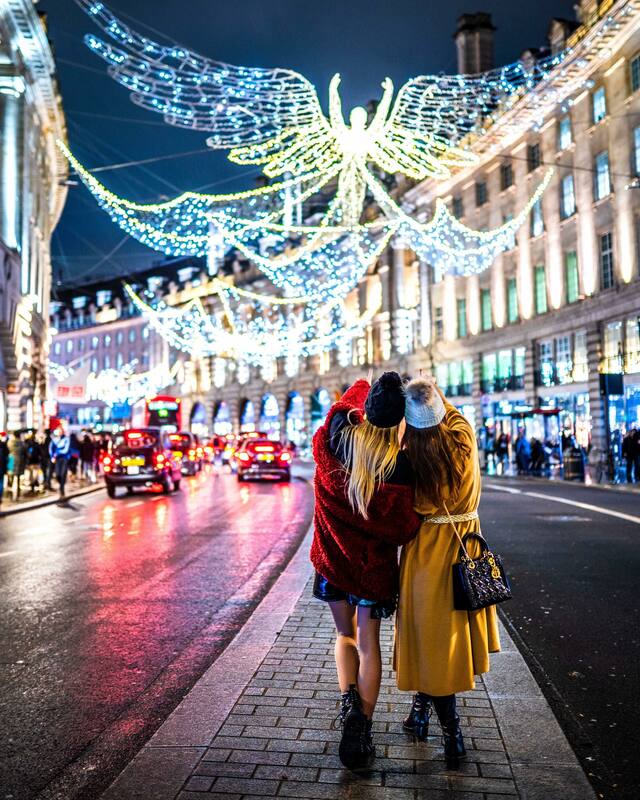 In 2018, London was voted one of the best cities to visit for Christmas decorations! Helsinki came top of the Christmas cities, followed by Quebec, Berlin and London. Other spots that made it into the top ten include Salzburg, Copenhagen, Edinburgh, Montreal, Prague and Dublin. The way I see it, nothing can beat London during Christmas. I might be a little obsessed, I admit, but there is so much to do! 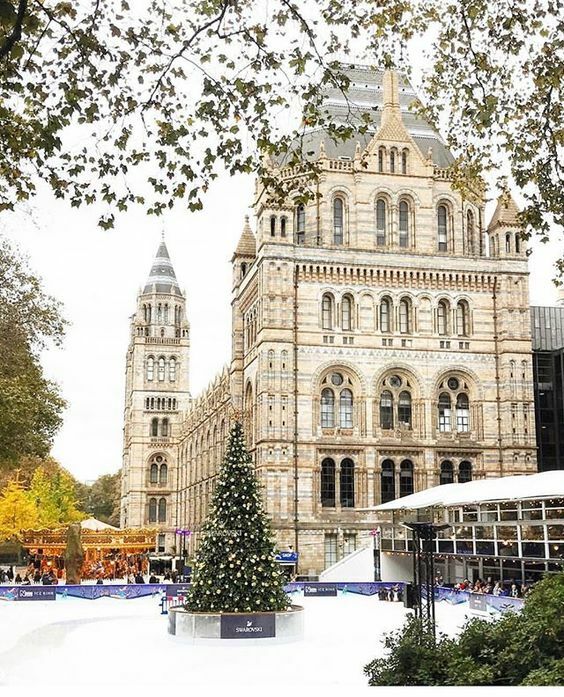 You could to go ice skating at Somerset House, soak in the festive atmosphere at Winter Wonderland in Hyde Park, browse the South Bank Christmas market stalls, shop for gifts under the Oxford Street Christmas lights and catch the best Christmas theatre shows in London. I make a round every year and I encourage you to do to the same! Here is a list of 15 places including street lights, coffee shops, restaurant and shops. 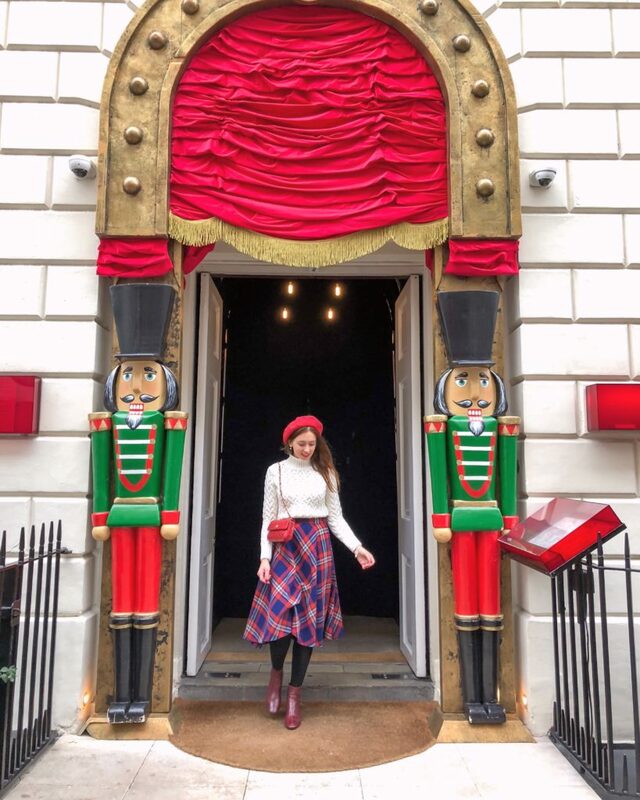 I love Covent Garden all year round, but Christmas feels so special here! They always surprise with their amazing installations, such as Christmas baubles, swings, lego deers or Mr. Bean’s car! Have you seen ‘Love Actually’? 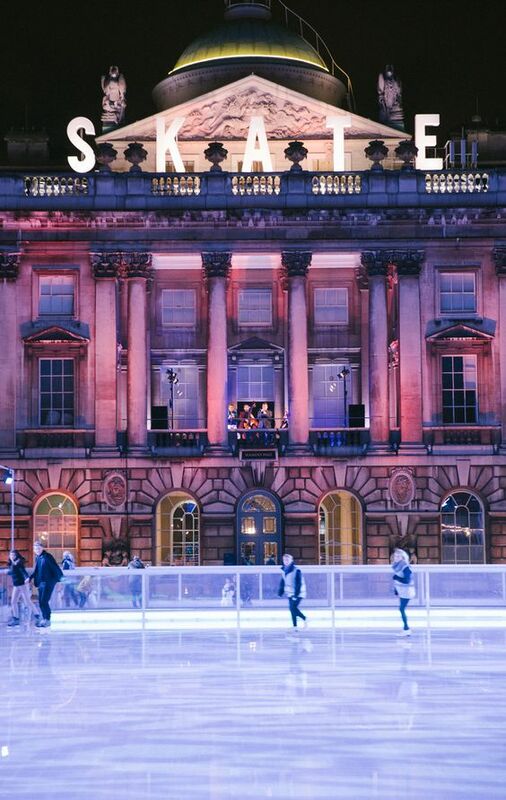 Well, if you haven’t – Somerset House ice rink is featured in one of the first scenes. It really feels like ‘Christmas is all around’ there! It might be a little bit crowded on weekends and afternoons, so I would recommend 1 PM mid-week ice skate if you have time. South Bank is such an amazing place! It features the best view overlooking the Thames river, Big Ben and London Eye. South Bank Christmas Market is a market-perfection. 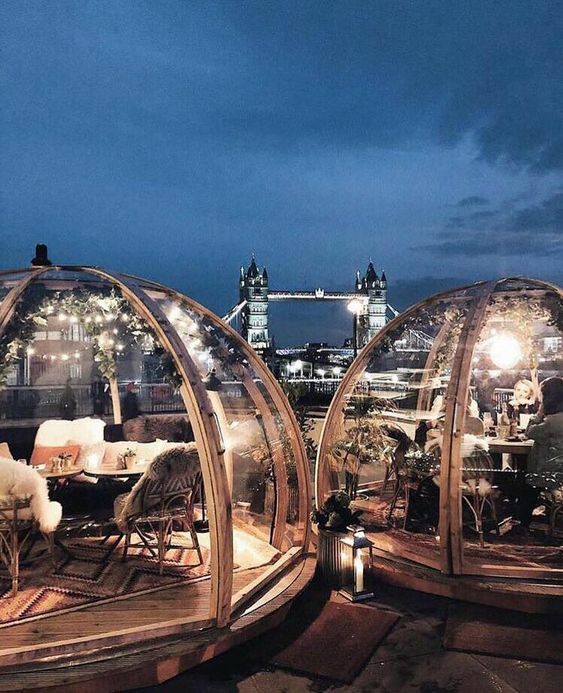 Having a mulled wine with such a view is goals! My personal favourite Christmas market of all! 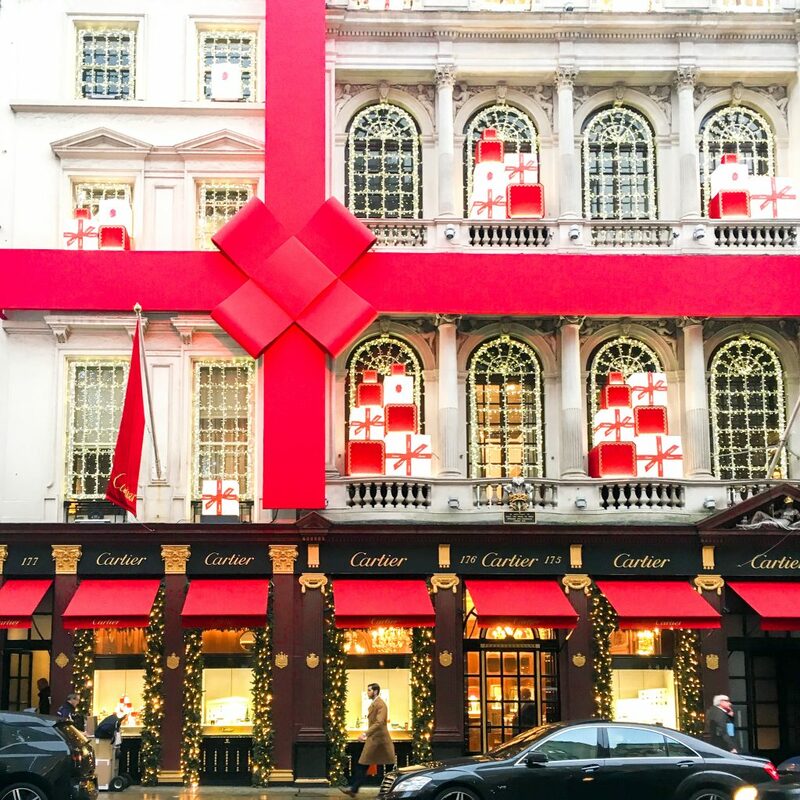 Despite the fact the lovely Cartier display is not going up this year, New Bond-street is the most elegant and chic corner in this part of London. Only by walking through the street you can feel like you are in a fairy tale. Try to go there in the evening as the lights and ornaments are the most effective in the night time. Sketch is mainly known for its Andersen-like millennial pink interior. This Christmas, the venue truly looks like winter wonderland itself! Don’t forget to book before you go – they don’t do walk-ins. One of my top places to see this year! The huuge Christmas tree display is soon going to be all over Instagram (I bet it already is by the time you read this). It actually took us 1 hour at 8 AM to take this photo – can you believe? 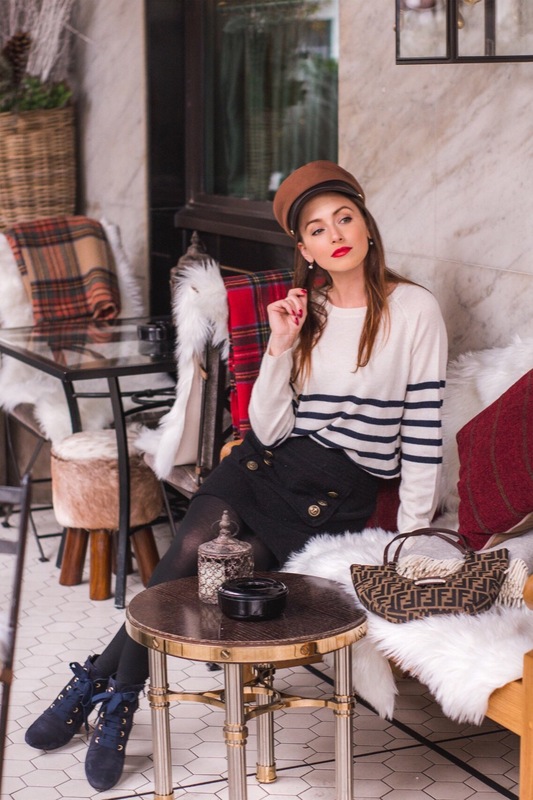 Berkeley Square is busy every time of the year, but December is …. really crazy. You can thank Instagram for that. To me, it is the chicest and elegant place. I have fallen in love with the interior and the cozy atmosphere makes you wanna stay there forever. The bar is known for its magnificent chocolate fondue served in a very stylish way. Unlike the rest of central London venues (of such great Insta-reputation), Churchill Bar and Terrace is not busy. We went there at 2 PM on Thursday and there were half of the terrace tables empty. The hidden gem in the city center! 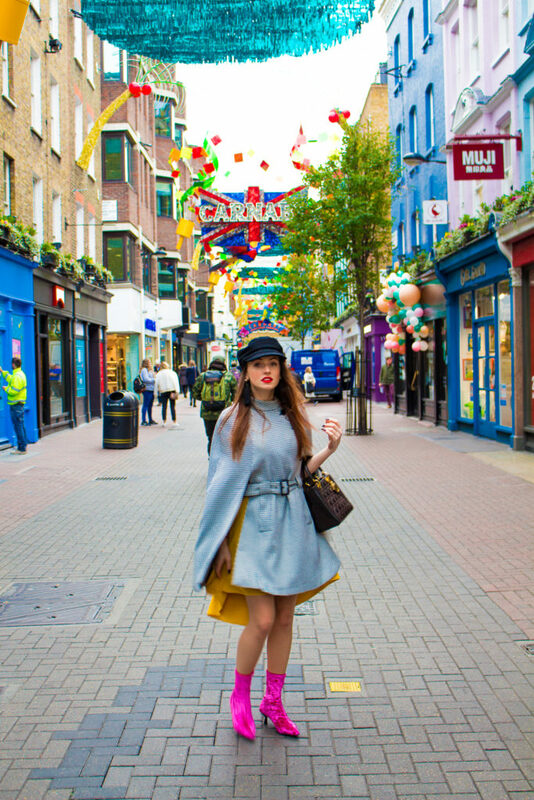 Carnaby Street is the street behind the famous Regent Street and unlike the main street of London, it changes display every season (or every couple of seasons actually). It is fun to be there! Apart from the shops, you can find some nice jazz bars, healthy food places and contemporary-style window displays. Despite the fact the igloos are pre-booked months in advance, I think it is worth to go and see the famous installation live. You could still get a seat at the Coppa Restaurant (inside) and perhaps someone will bail on their reservation? If you book for less than 6 people and you are lucky enough to get a seat in December (I don’t think soooo), you might have to share the igloo with other peeps. Oh well… I bet it is worth it. Or maybe go to Lapland, might be quicker to get an igloo there :P). I tend to go to Ivy Chelsea every season, but their Christmas display is always on point! 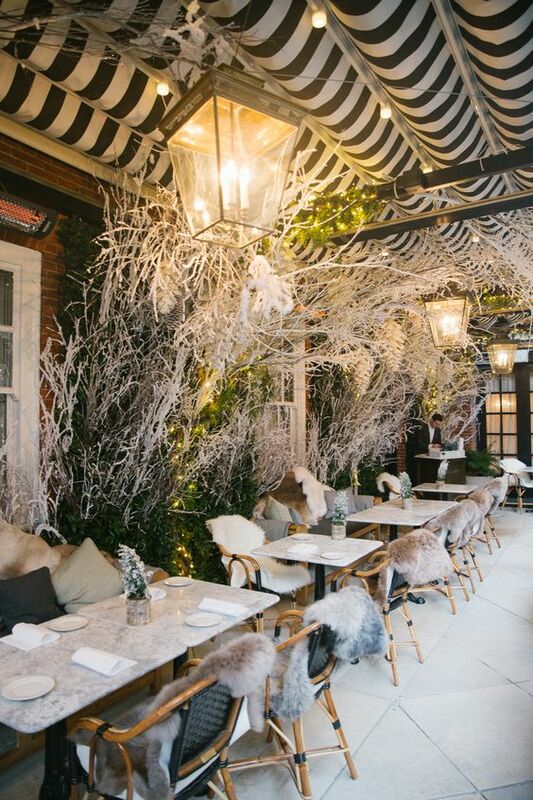 The restaurant is located on Kings Road, which is one of the most elegant parts of Chelsea. It is not crazy busy, but you might be surprised. I wouldn’t recommend weekends, but mid-week is fine for a dine-in or a quick coffee. It is not exactly located next to the tube station, which definitely makes it less touristy. Peggy Porschen features a very delicate Christmas display every year – I like it a lot. It is not overdone and very modest, with a hint of fairly lights and… Peggy Porschen bakings on the Christmas tree. Apart from the festive display, you would also get some Christmassy specialties, such as cakes and seasonal coffees. Worth having a look, but don’t ever try to go there on Saturday! Harrods feels like Christmas all year round, but in December it is like a beating heart of London (or at least London’s shopping scene). 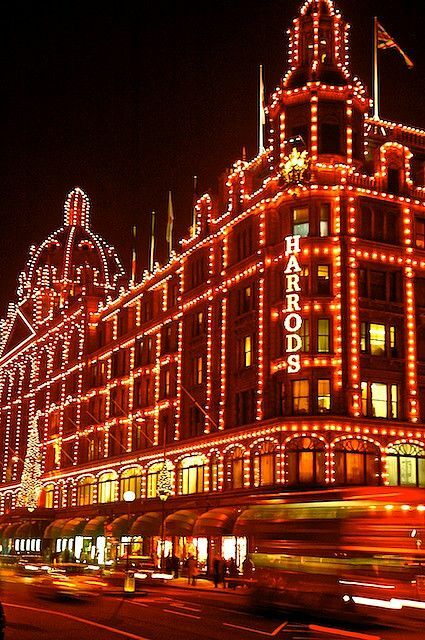 This department store is a definition of British Christmas. 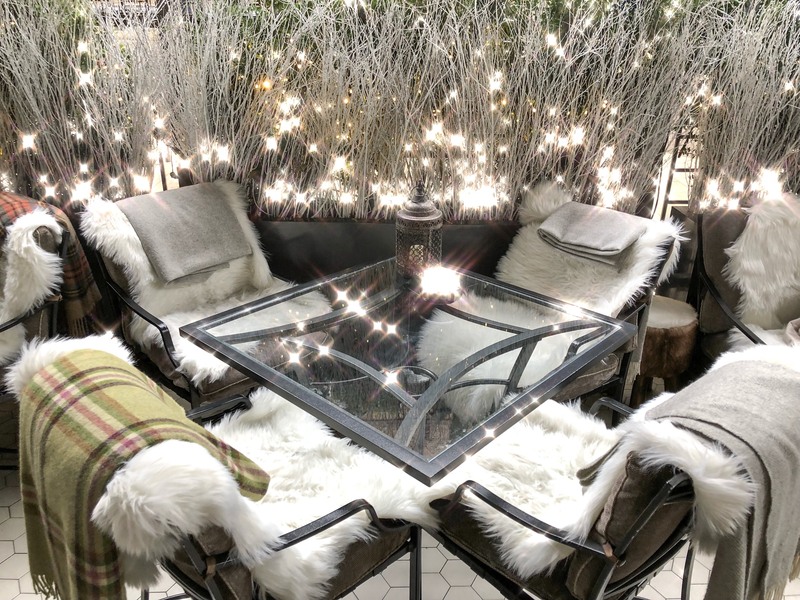 You can get some special prices, Christmas specialties in the food court, window display is a must-see and… Knightsbridge is such a great neighbourhood to visit! You know Christmas is coming when National History ice rink is transformed by sparkly, glowing lights. It is the best place to ice skate in London, the way I see it. Having this magnificent historical building in the background makes you feel festive for sure! Does it even need an explanation? Turning the Christmas lights on Regent Street, ‘The Spirit of Christmas’ is always a huuge event, and the lights stay up until late January/February. It is, according to many, the most magical street in London during the festive time. Game of Thrones Themed Wedding – Northern Ireland Has It All! 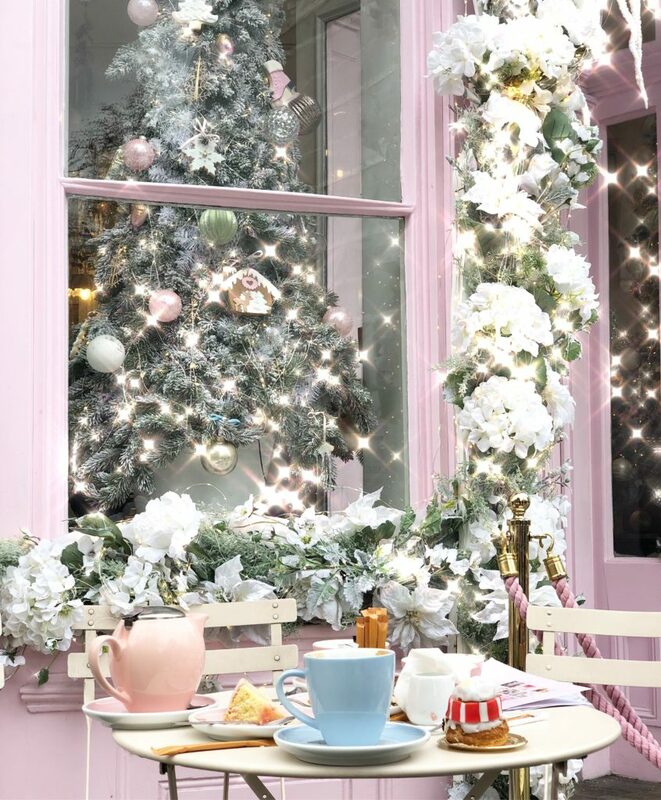 So many cute places, I would love to check out Dalaway Terrace & Peggy Porschen, especially around Christmas. These places look so lovely. Spending Christmas in London is great plan!